Prayers often don’t work out quite like we imagine them. A divorce might divide a family. A child might die. The innocent might suffer. Life is difficult. It is important to know that Jesus is not a genie ready to deliver hearts and rainbows just because I rubbed the lamp. Look y’all, if you are like me, and I’m betting you are, you spend most of your time in prayer presenting your requests. Here are some ideas to make your prayer time into more of a partnership…more of a love fest…more of an expression of trust. I found this great verse in 1 Peter 4:7, and I have included several different versions below. I wonder if Peter was recalling the time he and his friends fell asleep while waiting in the garden with Jesus when he wrote this? First of all, I suggest that you set aside time to pray…not the praying you constantly do in your mind as you go about your day…and not the nightly prayer you say while falling to sleep on your pillow. Jesus often removed Himself from the crowds to spend time with His Father. We too should remove ourselves from the crowds and become disciplined about our time with God. I found a place behind my closet door where I can go to have private time with my Lord. 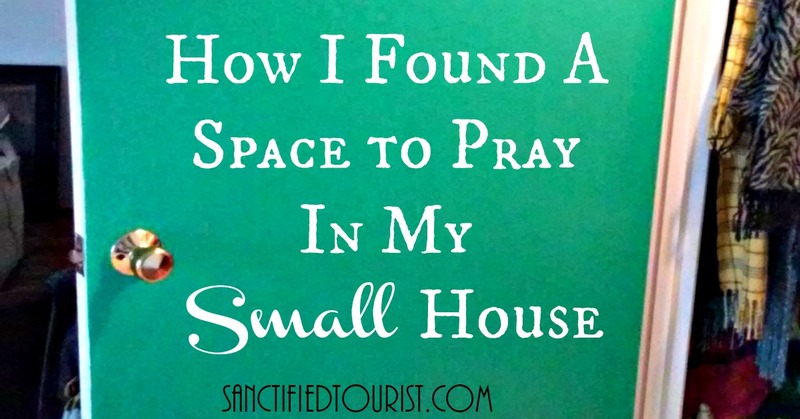 Click here to read How I Found a Space to Pray in my Small House. In the past, my prayer time has been B-O-R-I-N-G! Why in the world would I want to linger in prayer if I am distracted or uninterested? One way I solved this dilemma was by gathering together the latest in worship music on my Pinterest page so I have it available as I pray. For example, I particularly love the song “Come Alive (Dry Bones)” by Lauren Daigle as I pray over the lost and distracted people on my prayer list. On some days I just put on instrumental meditation music, close my eyes, breath deeply and just BE with Jesus. On other days if I am particularly stressed about something I will use a passage like Psalm 23 to remind myself through the scripture that God is my Shepherd while using my prayer journal to write it down. My journal then becomes encouragement for me when I reread past entries. If I run out of words to use in praise, I go to the Psalms. Some days I try to just be thankful and not ask anything of Him. I post pictures of my family and feel my heart swell with thankfulness as I look at their faces and know the Holy Spirit is bringing words I cannot say straight to my Father. 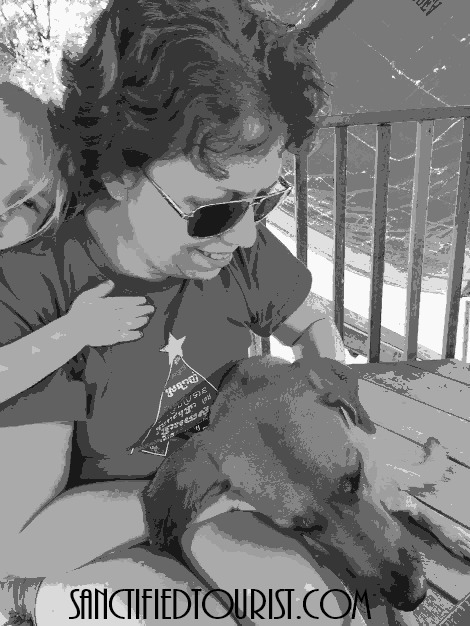 A couple of years ago something unexpected and scary happened to one of my children. I got obsessed and worried and discovered I was not as strong as I thought. I begged and pleaded and I was NOT filled with peace. There was no syncing up with God’s will AT ALL. There was no partnership. I was a total disappointment to myself. The fiery arrows from the enemy were burning me. Where was that genie when I needed him? The only way I survived spiritually was because three people I loved reminded me of the things I forgotten. They prayed with me and read scriptures to me. It was obvious that I needed more military training. More discipline in prayer. I needed to learn to be the boss over my mind. I pray that in the moment when your world seems to fall apart, you won’t fall apart like I did…that the discipline of prayer and Bible study will sustain you. Be ready… because our enemy is prowling like a lion. You might like these other posts in the Spiritual Disciplines Series. Click on the pictures. Categories: Alice's Life So Far, Heart and Spirit, Spiritual Disciplines Series | Tags: Christian Living, Christian Women, Encouragement, How to Pray with Discipline, Prayer, Prayer Door, Spiritual Discipline Series, Useless Magic Lamp | Permalink. 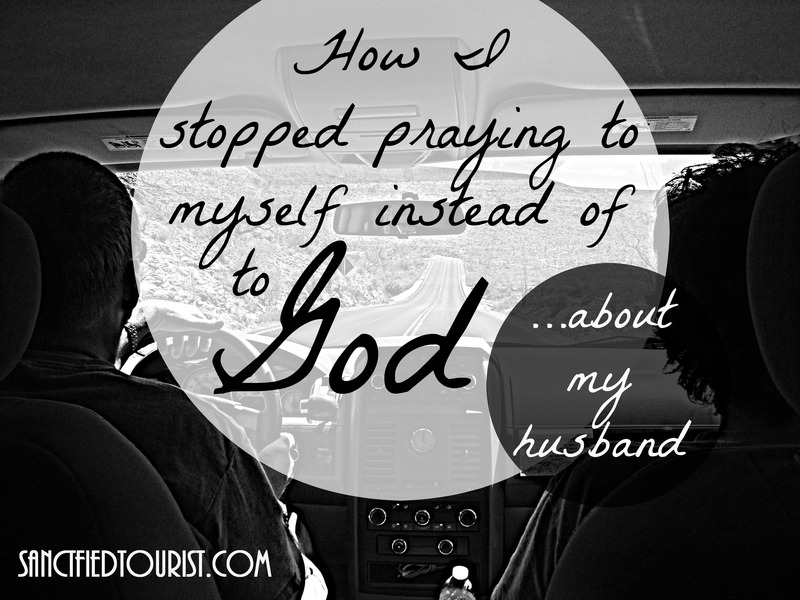 I became convinced that I needed a place in my home to pray, away from the family. I liked the idea of posting my prayers in a permanent location. My closet was too tiny, or maybe I should say, it was too full, so I looked at the back of my closet door as a better way for me to utilize the space I had available. Step 1: I painted the back of the door a fun turquoise color. Step 2: I went to Hobby Lobby with a sample of my paint so I could coordinate colors of the paper I would use for the banner, labels, pockets, and the center board that I use for immediate needs. The paper I picked had different patterns on each side. I alternated patterns when making the pockets in step 5. Step: 3 I assembled the center board using: hot glue, glue stick, twine, a chip board, coordinating paper made of card stock, and tiny clothespins. Using the glue stick, I attached the card stock to the chip board. Then I used hot glue to attach the twine to the back while it crossed in various locations on the front. I found a cute burlap flower to add on the top. The chip board has holes on back for use in securing to the door. Next, I created a PRAYING banner. Since the paper I picked out was too big for my printer, I cut it to the right size , then used the scraps for the Immediate Needs board. I attached the banner with twine and used duct tape on the top of the door so the new paint wouldn’t be ruined. Then, I printed labels and scripture cards and created pockets out of matching paper. To create the pockets I folded the paper over and left about half an inch on the top (see picture). I glued the scriptures and titles on the front of each pockets, then laminated. The last step was to type up the list of people to fit into each category then place them in the pockets, ready to go. Once complete, I positioned my chair next to the door, to make sure I arranged each item low enough for me to see. I used the product Simply Tacky to attach everything. Next week I will write more about what I do during my prayer time. All my praying is integrated with worship music that I have saved on my Pinterest page. Categories: Alice's Life So Far, Free printables, Heart and Spirit, Spiritual Disciplines Series | Tags: Christian Living, Christian Women, DIY Prayer Closet Door, Matthew 6:6, Prayer Door, Printable PRAYING banner, Space to pray in a small house, The War Room | Permalink.